Central Banks are rigging the metals markets. Does it signal a buying opportunity? Will they ever be prosecuted for this illegal activity? “…(Central Banks) incite investment banks and other willing parties to bet against a rise in the prices of gold, oil, base metals, soft commodities or anything else that might be deemed an indicator of inherent value. Eight major players are blatantly manipulating the price of all precious metals; making billions from their illegal activity. So far, despite a preponderance of evidence presented by the Gold Anti-Trust Action Committee (GATA), the government takes no action. Using electronic media they worked together to rig silver prices. “You are short right…haha…we are one team one dream,” a Barclays trader wrote on April 6, 2011. I recently wrote about a bill in the House of Representatives to fix Social Security. A major emphasis is changing and/or eliminating Cost of Living Increases (COLA). The need to protect your retirement nest egg from inflation is growing by the day. If the best inflation protection on the planet, precious metals, is being artificially held down in price what should an investor do? I contacted Ed Steer. I asked his opinion on the smoking gun and the implication for those who need to protect their life savings from inflation. DENNIS: Ed, thank you for taking the time to help our readers. As a member of the GATA committee, I know you are on top of the situation. The smoking gun appeared. 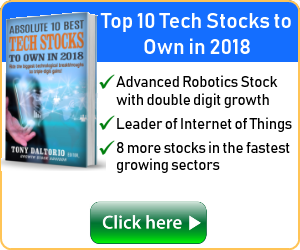 Will this change the “big boys” continual market manipulation? ED: Hi Dennis…well, nothing much has changed since we last spoke. The largest 8 traders, mostly U.S. banks and brokerage houses, are still mega-short the precious metals. This “silver disease”, as silver analyst Ted Butler calls it, has spread to other commodities such as copper, crude oil and the grains. 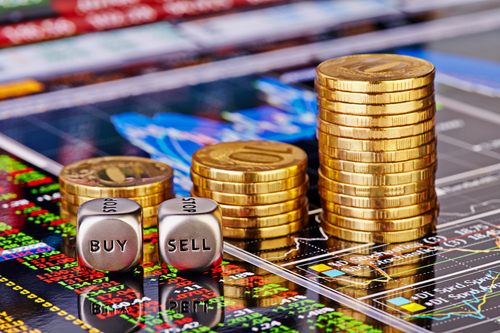 The “smoking gun” you refer to with the Deutsche Bank revelations has confirmed that the silver market is rigged – as is the gold market, so it’s no stretch to imagine that they’re managing prices in other markets. You ask if these revelations will matter. You can’t tell on the surface that things are different, but the fact that the price management scheme is so widely known…and talked about everywhere now, certainly puts JPMorgan [and Canada’s Scotiabank in silver] under the spotlight. These revelation bombs are falling closer and closer to the real ‘Ground Zero’ in the price management scheme – JPMorgan – and the CME Group that enables them. Is all this illegal? Hell yes, but neither the CME Group nor the CFTC will do a thing about it even though it’s obvious in their own data. DENNIS: I’m concerned about retirees dealing with high inflation. 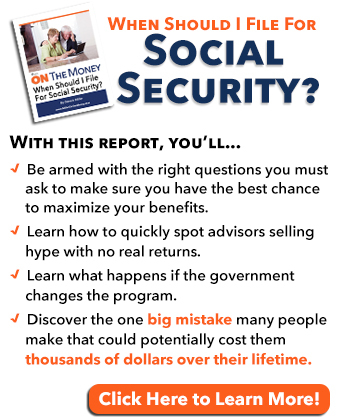 The government wants to cut back and/or eliminate COLA adjustments in social security. Precious metals have a history of rising ahead of the inflation rate. Many people, including yours truly, felt high inflation and metals prices would be soaring long before now. Do you see any signs that we might move back to free market pricing? ED: Free market pricing? Well, nobody knows what the true free market price of the precious metals really is, because there never has been a free market in them since they were discovered…and now traded. If the precious metals were allowed to trade freely, we would see an immediate price adjustment in ALL commodities. If you keep precious metal prices, plus copper and crude oil under control, keeping a lid on the others is easy, as per Peter Warburton’s famous words you quoted. All price management schemes eventually end – and when this one does, as it surely will, we’ll have brand new prices for everything. A big unknown is whether the powers-that-be will allow market prices to prevail, or whether they’ll just retreat to a much higher price level for the precious metals – and control them at higher price points. No one knows exactly when this will happen, but the gold price has been under the control of the COMEX futures market since 1974. The longer they keep prices suppressed, the higher they will go when the downside price management scheme is terminated. The powers-that-be also know that once they allow commodity prices to rise to [hopefully] free-market prices, it’s a genie that they won’t be able to either control, or put back in the bottle until the ensuing short-covering rallies in the COMEX futures market burn themselves out. The other question then becomes, what happens to all other paper investments as this worldwide rush into hard assets is going on? They’ll most likely crash and burn. It’s a real dilemma for the powers-that-be – and it just gets worse as more time goes by. DENNIS: The US Debt Clock has added a dollar to gold ratio. Currently it’s just over $9,000 oz. as compared to $28.76/oz. in 1913. The dollar to silver ratio is over $1,000/oz. Any publication touting metals prices skyrocketing to those numbers might find themselves investigated by the SEC. Ed, is it possible for eight big traders to manipulate the market by such huge amounts? ED: In a precious metals short-covering rally in the COMEX futures market anything is possible, especially since their respective prices have been managed lower for about 45 years. Silver analyst Ted Butler, who’s an authority on all things silver-related, estimates that JPMorgan has amassed a staggering 550 million ounces of physical silver [a third of all visible above-ground physical inventory] since they engineered the price decline in that precious metal starting on May 1, 2011 when it touched US$50 per ounce. They’re not only keeping the price suppressed in the futures market, they’re using that advantage to buy physical silver at the prices they, themselves set! How crooked can you get? They’re still accumulating and they aren’t going to be selling it for $100 an ounce. DENNIS: One last question. What would you tell readers who are concerned about funding their retirement and making sure they have ample funds to pay their bills for the rest of their life? ED: Inflation is coming whether we want it or not – and it’s not going to be just a little bit of inflation. Central banks will move heaven and earth to ensure that it happens. The first place it will show up will be in precious metal prices, along with their associated equities. A portion of your retirement savings in them, whatever portion you feel comfortable with, will go a long way to not only preserving your wealth, but also your future purchasing power. Gold closed higher by 8.47 percent in U.S. dollar terms in 2016 – and silver by 14.82 percent. 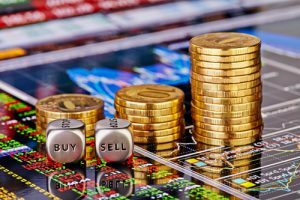 The gold stocks closed up 64 percent – and the silver equities by 123 percent. What will these gains be like when gold is back at its old high of US$1,900 per ounce, or silver at US$50? Sage advice, in my opinion. And I eat my own cooking here, as I’m “all in” personally – 100 percent of my investment portfolio is in precious metals, mostly silver. That is certainly not an investment strategy that I recommend to anyone else. I wish a happy and prosperous New Year to you and all your readers. I think we can summarize things easily. Inflation looms on the horizon, and when it comes it won’t be pretty. The need for all investors to have adequate inflation protection is growing by the day. I don’t plan on selling my metals anytime soon! Tomorrow is Inauguration Day. I watched a video of President Eisenhower and John Kennedy preparing for the Kennedy inauguration in 1960. They were both smiling and working together. I’ve also read that Richard Nixon, who lost the election, was told that Chicago Mayor Daley had manipulated the vote urging him to call for a recount. Nixon was supposed to have said no, he felt it would be bad for the country. I doubt Presidents Eisenhower, Kennedy and Nixon would approve of the current political behavior today. Isn’t Inauguration Day supposed to be a celebration of the peaceful transfer of power? It’s not the end of the world; four years from now it can take place again. Like most Americans, I hope nobody does anything stupid. I’d like to thank everyone for their support last week. Many of you must have forwarded our article about social security because we picked up a record number of new subscribers. Feel free to continue the process. To our new subscribers, “Welcome Aboard!” I write about a lot of different things; and appreciate all input and suggestions. Good friend Dennis A. sent me some great political truths. Foreign aid might be defined as a transfer of money from poor people in rich countries to rich people in poor countries. – Douglas Case, (Classmate of Bill Clinton at Georgetown University). Here is a point or distinction on PM ownership: Right now their price in dollars is based on them as a commodity, not as an investment. The price is not that far off of the average cost of mining, refining, selling to the wholesalers and reasonable retail markup. Ownership does not pay dividends, so for now I don’t think of them as investments. I think of them as a solid form of savings. Other than cash NOTHING is as liquid as gold or silver for rapid conversion to cash. I don’t see precious metals as being all that liquid when you have to pay tax on the capital gains when you sell them, plus incur a signicant cost in the buy/sell spread at the bullion dealer. Thanks for the response. I think liquidity depends a great deal on what type of metal you own. There is a world wide market, with the prices posted and you can buy and sell quickly. Yes, like any other investment, you will pay tax on your profit. Please see my post to Thomas. My personal belief is that metals are one element in a portfolio, just like stocks and other investments have their place. If one has other assets like productive farmland for example that also has a history of growing during inflationary times, they have less need for precious metals. Selling assets like farm land is a bit more difficult and commissions are similar to gold. One major difference between metals and other types of inflation protection is price. Farm land, waterfront property, collectibles, etc. are valuable; however the price is negotiated between buyer and seller. Those who have good market experience can do well. When it comes to everyday metals, you can shop prices on the internet fairly quickly looking for the lowest commission. Tom, I don’t discount your comments, you are correct. It is just inherent to each investment. I look at precious metals as insurance, much like a fire extinguisher. I hope the situation never happens where I have to use it. Should investors have to sell their core holdings, things will not be pretty. Thank you for your comments, Dennis. I also read your response to Thomas. I agree few people should be “all in” on precious metals, and my allocation is higher than what most people would consider prudent. Then again, I own no farmland, and more than 50% of my portfolio is in cash, as I am 66 years of age. My point about liquidity is that I can take that cash to the grocery store, or the car dealership, or almost anywhere else locally and I know exactly what it will buy. I can’t do that with gold. In my town of approximately 100,000 people, there are only two locations where I can go and exchange my gold for cash today, and I better call and tell them I’m coming if I have very much to exchange, and be prepared to do the record keeping and tax accounting. Yes, there is also some hassle and accounting to be done (not to mention the risk of the internet being down or the phones being off) if I want to redeem stocks or mutual funds from my brokerage account. Each person’s reason for holding physical gold is likely somewhat different. I do not view it so much as savings as I do disaster insurance and something I can lay my hands on if all other systems fail. Still, I can’t eat it or pay my bills with it. There must be a willing and ready buyer for it to have real time present value. I do appreciate your targeting your approach to the retiree. Most advisor newsletters are aimed at the young person trying to grow a nest egg or make a quick speculative killing. Few are dedicated to making that nest egg last or how to safely draw it down so that it will last the duration of life after productive earning years. Thank you for taking the time to interview Ed Steer. 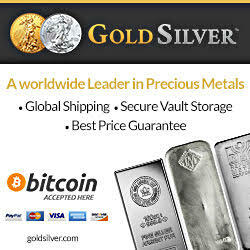 As a gold, silver, platinum wholesale firm, (Bullion Management Group Inc.), that provides investors with allocated bullion bars or in the form of an open-end trust for both their registered and non registered accounts, a subscriber and daily reader of Ed’s Gold and Silver Digest, I can attest to the fact that Ed has much more than his finger on the pulse of this sector. He understands it thoroughly, and he explains it easily. The fact that Ed is “all in” (as am I), and JP Morgan bought another 751,821 troy ounces — and its COMEX silver stash now totals 88.15 million troy ounces, a hair under 49 percent of all the silver held in all eight of the COMEX depositories — ought to be reason enough for anyone to hedge with silver. Somehow, we have been convinced by central bankers to swap asset-based money (gold and silver) for their debt-based notes. It is beyond me why anyone would not exchange 20% of their debt-based notes (“paper”) for tangible risk free asset-based precious metals? Why not turn “paper” into a portfolio insurance policy? Bullion provides true asset-class portfolio diversification, providing wealth preservation in the face of foreseen and unforeseen financially led or politically based events including inflation, deflation, stagflation, recession or depression, a derivatives market or sovereign debt market crisis, or a minor or major stock or bond market correction, which is overdue! Thanks for taking the time to write. 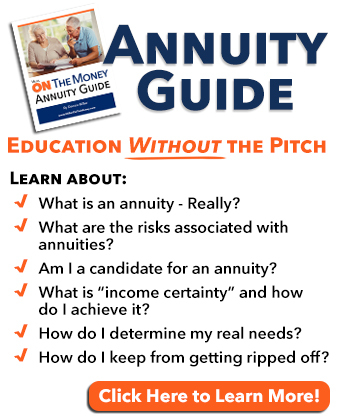 As a retiree the idea of “all in” on any investment, be it stocks, annuities, real estate, metals, etc. is much too risky. 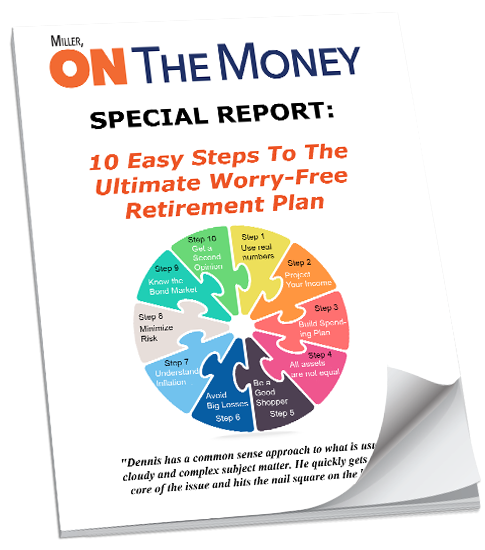 Retirees must preserve capital, stay ahead of inflation and generate enough income to pay their bills without constant worry. What I find difficult is the number of “experts” who totally ignore the threat of inflation. While no one knows when it will occur, the adverse consequences of even Carter year inflation on a retiree’s nest egg would be catastrophic. Somewhere between “zero” and “all in” is a number each investor is comfortable with; hedging their life savings to protect their buying power for the rest of their life. Right after the first bank bailout I began to recognize the danger of what could happen. Many of us thought it would occur long before now – but it has not. I understand that it may not happen in my lifetime – but the potential for high inflation destroying the value of our currency is growing by the day. Most of the people I know who are “all in” are still working and paying their bills from their current income and can afford to wait it out. Each individual must determine what their personal comfort level is. My concern is for those who don’t understand or ignore the situation. I saw what happened to my parents during the Carter years. I become annoyed by those who seem to think that inflation is a future event. The annual two per-cent inflation targeted by the Fed is close to the actual rate when judged objectively, but that obscures the fact that in certain sectors of the economy, such as health insurance and education, inflation is downright scary. It also obscures two other facts of economic life. That two per-cent annual inflation subtracts from an income made 2% smaller each year. So, if one continues to make the same $100,000 from the turn of the century to today, his/her inflation-debited income or purchasing power declines to $98,000 in 2001, $96,000 in 2002, etc. So, by the time the wage earner arrives in 2017, he/she is still making the same nominal $100,000 per year, but that 2% annual inflation has reduced their actual income (buying power) by 34%. So, when the wage earner becomes a consumer, they only bring $66,000 to the marketplace to pay for goods and services. That’s how Fed-designed inflation continually, silently, secretly, and mysteriously robs trusting Americans, and murders their standard of living. Last night I heard Clif High, of Half Past Human, say that since the Fed was created in 1913, the dollar–which was then worth 100 pennies–is now worth (has the purchasing power) of two (2) pennies. That’s inflation. I totally agree with you. If you go to http://www.shadowstats.com you will find their calculation to be around 6% if inflation was calculated the same way it was in 1990. Another good source is http://www.usdebtclock.org/ . On the right hand side there are several stats that validate your last paragraph. The government learned during the Carter years they could bleed wealth slowly from the population and get away with it; however rapid inflation increases like the Carter years causes politicians to lose their jobs. Thanks for your comments RBD. Until, and unless, the banking cartel is defeated and the wealthy elite and monopolies are brought under control, it will go on and on, until collapse. As an Indonesian resident reading many economic newsletters commenting (also) on PM especially Gold and Silver, I second Tom’s (above) posts. Whereas Gold and Silver, in my extensive world travel experience, is recognized as marketable assets internationally, the ease of doing so varies widely. In many countries ID must be shown and there are very wide spreads between buy and sell prices. In Indonesia, for example, Gold is preferred in jewelry form to bar or coins in smaller towns. Only in major cities does one find ready markets for Gold and Silver and trade volumes for individual transactions tend to be extremely limited. A transaction over US$5000 would already be difficult to perform not least because the value of the largest currency note is about US$ 7.50! The knowledge of PAMP or otherwise internationally accepted forms of bar PMs is only present among a minority of dealers. Most gold available is locally refined and has to be re-assayed, at considerable expense, outside Indonesia. Sovereigns, Dutch and US Gold is occasionally available but often with test marks or previously mounted and therefore also difficult to sell at near spot prices above. I have sold bullion silver coins at mark-ups to the numismatic market in the central Javanese city in which I reside. The local PM market is either uninterested in silver coins or offers derisory prices ie 50% or less of spot. The standard here is to attempt to take advantage of those that want to sell – I have seen evidence of this mindset in the US as well among major coin and paper money dealers – but this is of course not limited to this city. Major cities like Jakarta and Surabaya are better places to sell PM because if anything there is greater competitive pressure on margins. Thank you for the response. Your lesson for all of us is to be a good shopper. As you well know, competition is good for the consumer – assuming there is no cartel. Some friends in the business tell me that coin shows and the major online dealers are a good place to start. It’s easy to go from booth to booth, or call a 1-800 number for a quote. That lesson should apply to both the buy and sell side of the transaction.